With the prices of the most popular models entering unattainable status for a lot of younger JNCers, we felt it necessary to highlight some painfully overlooked yet still affordable (for now) nostalgics. 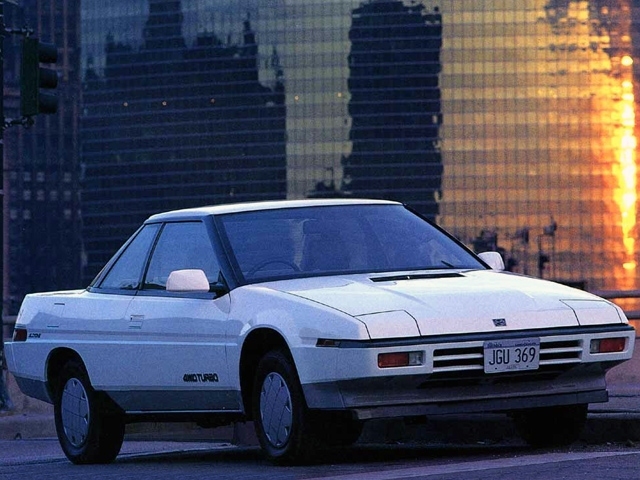 Welcome to another Consider the Following installment, in which we consider the Subaru XT. 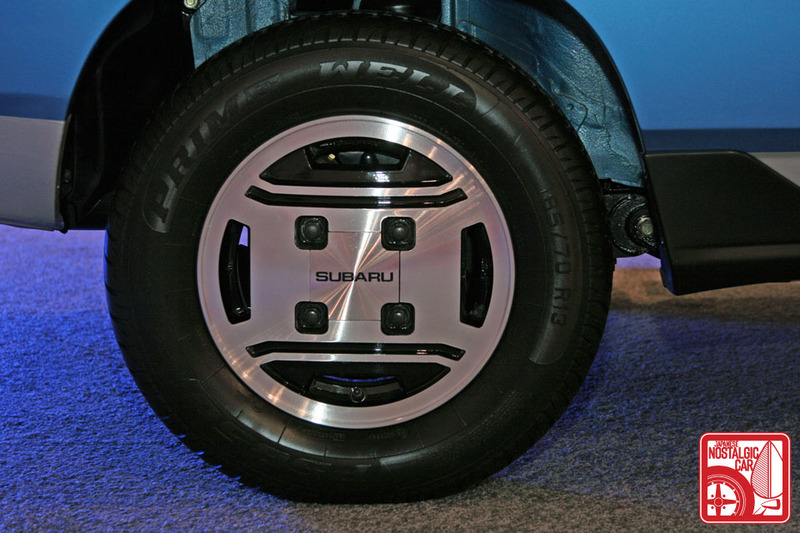 Modern Subaru is renowned for their boxer-engined performance platforms. Cars like the rally-inspired WRX and STI for years have been giving sports cars double their price with half the practicality a run for the money. 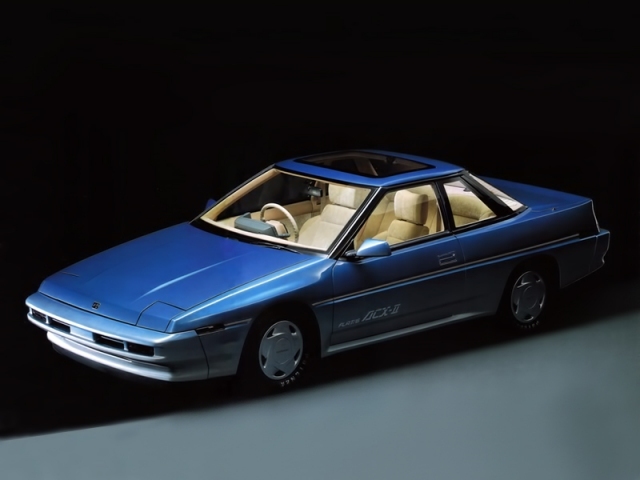 Prior to Subaru rocking the world with their turbocharged boxer performance cars, however, Subaru performance in the US market was best exemplified by their Giugiaro-designed GT car, the SVX, but even that was a second generation of another model, known in Japan as the Alcyone. 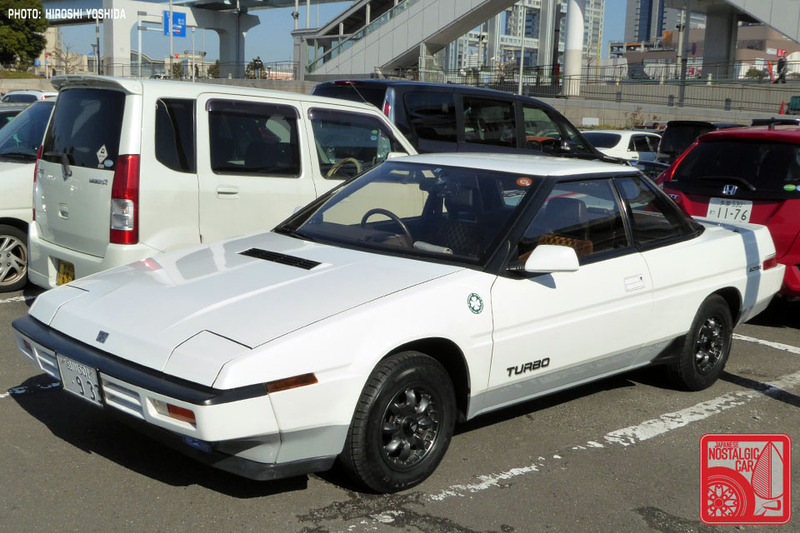 The platform comes from one of the most “of the era” cars to come out of 1980s Japan. 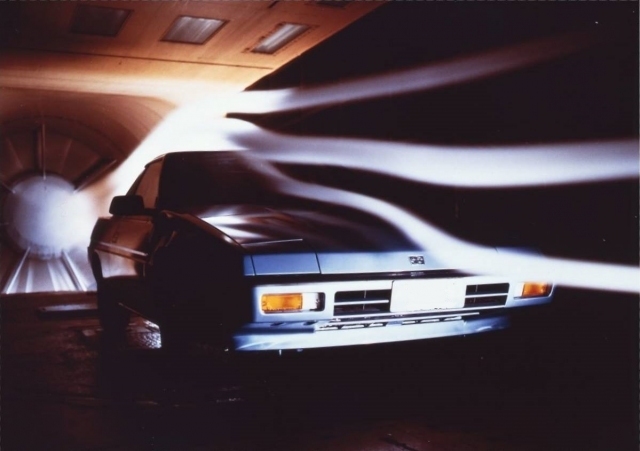 At home it was called the Alcyone, the Aussies and Kiwis called it the Vortex, and for everyone else it was known simply as the Subaru XT. 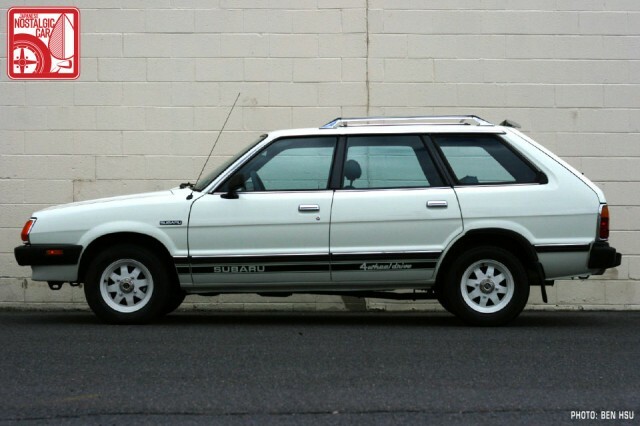 Going into the 1980s, Subaru had begun to make a name for themselves as an avant-garde utilitarian option for the family man that placed reliability and usability over all else. Incidentally, they also appealed to Grizzly Adams mountain men living in Colorado and Maine for the same reasons. However, selling to beard-heavy outdoorsy types and people who need an to drive in the snow only went so far. 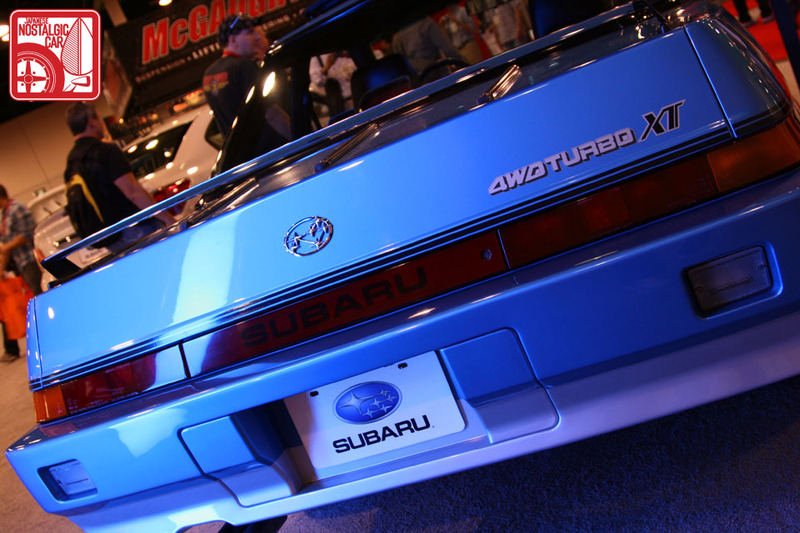 What Subaru was distinctly not known for was being a modern car that enthusiasts aspired to own. While this was not an immediate issue, it would create profound problems in the future if left unchecked. The world was advancing and technology was coming into cars for the first time in a big way. Subaru responded to this issue by showcasing all the technology they had available in a single car. What they managed to create was a technological marvel, filled to the brim with every modern gizmo you could ask for, all packaged together in a quite literally wedge-shaped sports car. 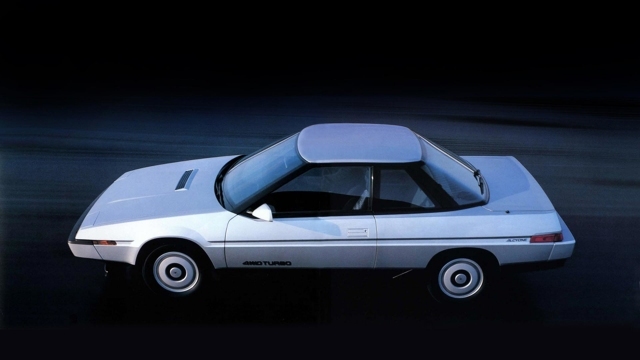 For 1985 Subaru showed the ACX-II concept car at the Tokyo Motor Show. It featured a body nearly identical to what would become the production XT. It was motivated by a flat-six boxer engine with full-time 4WD that would have put it on par for the power delivered by its competition. 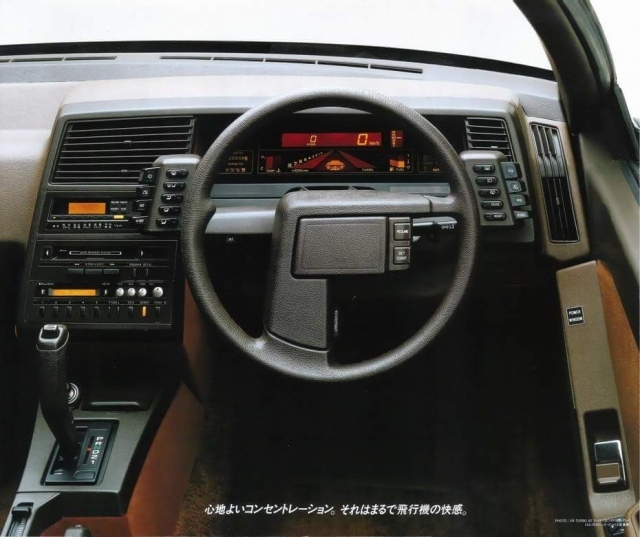 It had a tire pressure monitoring system, CRT monitor for navigation, digital dashboard, keyless entry, and even a dot-matrix printer that would show you a hard copy of the information gathered in the car’s data logger. The interior was about as good of an example of 1980s optimism as you could find, and to top it all off it was capped with an expansive glass greenhouse with wraparound rear window confirming that the future is now. The production version of the ACX-II showed up in February of 1985 with little changed, design-wise. Some of the more outlandish features like the navigation system and printer were cut, but the vast majority of the concept stayed in tact. The digital dashboard, keyless entry system, asymmetric steering wheel, headlight washers, single front wiper blade, pneumatic suspension, push button 4WD, and bodywork all made it to production with minimal changes. Rarely do we get a car that so closely resembles the concept version once it enters production. Usually the concept design is so outlandish that it becomes impractical for daily use. The angular wedge-like bodywork gave the car a drag coefficient of 0.29, putting it among the most aerodynamic production cars of the 1980s. Its superior aerodynamics not only provided better performance, but also improved fuel economy, along with tertiary benefits such as a lower wind noise in the cabin. During it’s design, Subaru leaned heavily on their aircraft roots. It implemented design elements like an cockpit-inspired interior layout and flush-fitting outer door handles from their Fuji FA200 monoplane. Getting into the car felt like strapping into the cockpit of an airplane, that was for sure. 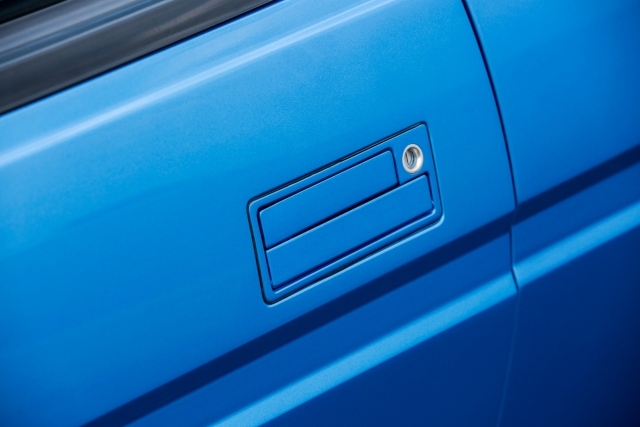 Subaru’s attention to this detail was second to none. Placement of warning stickers directly in view of the driver, pistol-grip shift knob, and racks of buttons coming off of the steering column really sent the whole airplane vibe home. 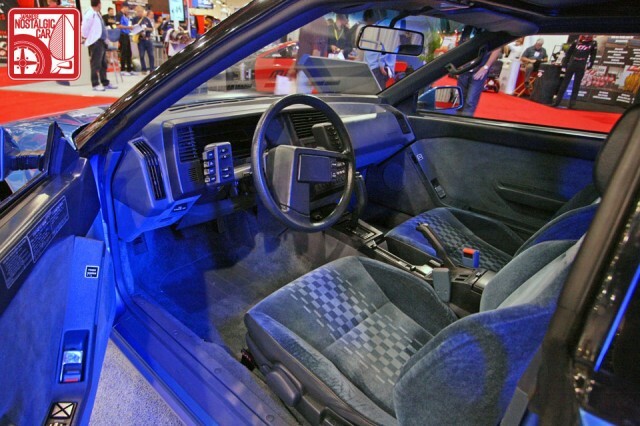 It was also extremely ergonomic, with all controls placed within comfortable reach of the driver, something even modern Subarus struggle to accomplish. The most striking part of the car, the digital dashboard found in the XT Turbo, took the futuristic theme and knocked it out of the park. Surgically plucked from the mind of John Carpenter and featuring an Atari-esque graphical representation of the car itself driving into the horizon, no gauge cluster produced before or after the XT Turbo has been this awesome. Though amazing as the car was aesthetically, the Achilles heel of the early XT was its engine. While the ACX-II concept featured a competent flat-six engine, Subaru phoned in the powerplant on the XT by offering the standard EA82 boxer engine that was found in their mom-spec GL wagon. Yes, there was a turbo version available, but the turbocharged EA82T offered an mediocre 110-115 horsepower, just 18 ponies over the aspirated EA82 MPFI engine. While usually a 16 percent increase is cause for celebration, it wasn’t so on the XT. The wheezy potato had an average head gasket life of 50,000 miles. 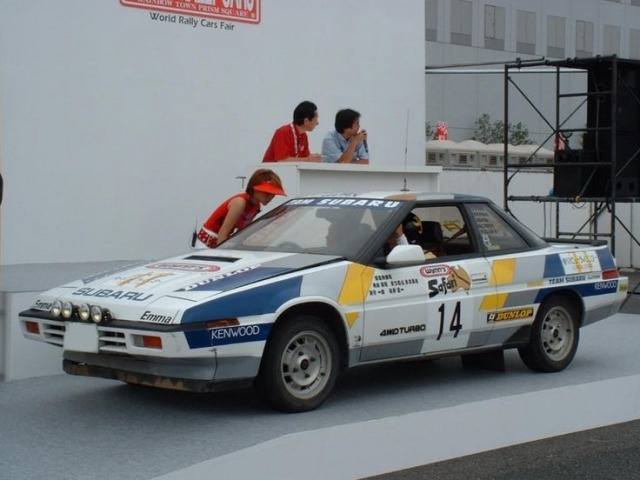 Subaru did have enough faith in the XT Turbo to campaign it in rally during its first year in production. Namely, it had a run in the 1985 Wind’s Safari Rally across Australia, but after the car took on damage during the race it logged only a DNF. 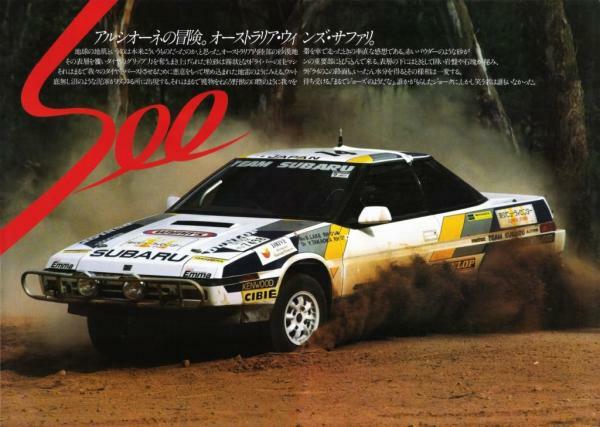 The same drivetrain as the XT would be used 3 years later by Peter Bourne in his Subaru Leone RX Turbo with better results, but still only a fraction as successful as the Legacy would prove at the end of the decade. 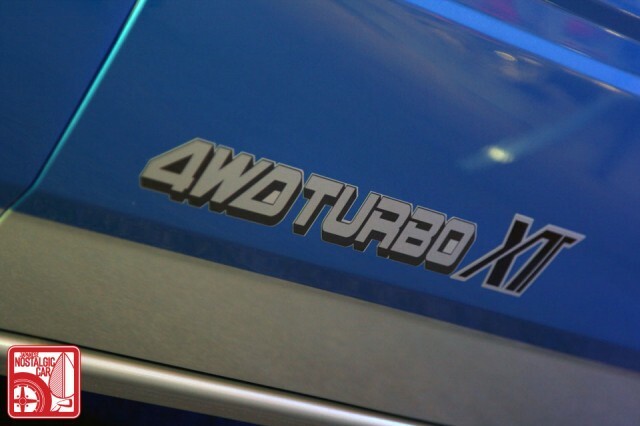 While the XT Turbo wasn’t the performer that the public had planned for, in 1988, Subaru stepped their game up by offering the drivetrain promised in the ACX-II. 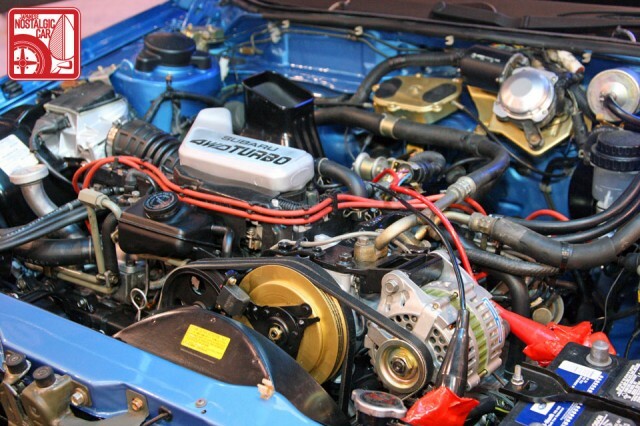 The ER27 flat-six engine was a great replacement for the EA82T, raising the output from 115 to 150 horsepower and doing so in significantly more reliable fashion. 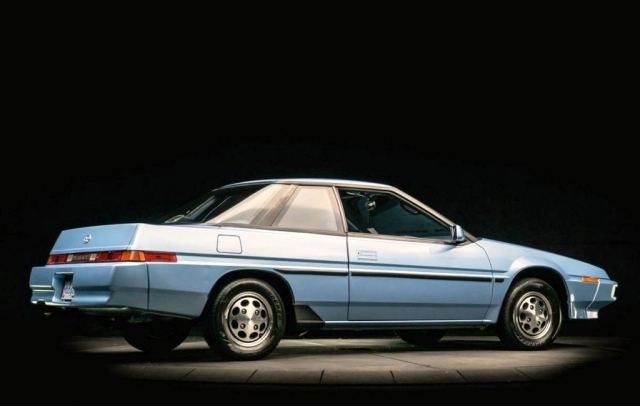 This finally put the Subaru XT series on par with its competition. Or at least their base models, because by 1988 both the Supra and 300ZX were creating significantly more power in their highest trim levels. 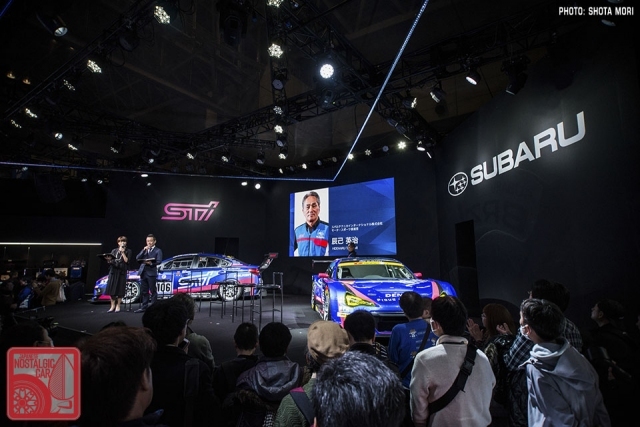 Subaru, clever as they are, moved the XT6 down a class in their marketing to compete against the supercharged AW11 MR2, Celica GT-Four and Mitsubishi Starion. In hindsight, this is where Subaru went wrong with the XT. If they had seriously campaigned the XT6 in motorsports, they may have been able to give the car a racing pedigree beyond “It blew up during a rally.” The native full-time AWD system would have given it a leg up over its competitors, be it in touring car or rally, and many privateers have proven that it can hold its own. That lack of pedigree was Subaru’s loss but your gain. While the Z31 300ZX and A70 Supra are now commanding five-digit prices for the best of examples, the Subaru pulls, on average, $6,500 for one in concours quality condition. For someone who wants to build a unique project car, it’s hard not to consider the XT series once you’re in the know. 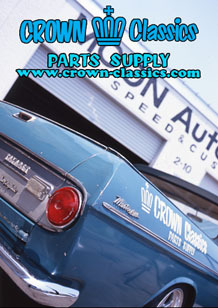 There is a great community around the world for these cars between the NASIOC forum, our own Subaru Garage, Ultimatesubaru.com and the Classic Subaru Network Facebook page. Subaru’s endearing corporate philosophy of “If it’s not broke, don’t fix it” has gifted us endless engine options from modern Subarus. All EA engine mounts are in the same locations so you can bolt in a modern EJ, EE diesel or FB engine without needing to source custom engine mounts. Engine wiring is marginally more tricky if you have a digital dashboard because it’ll require soldering a resistor on the tachometer wiring, but with conventional gauges you just run the entire EJ engine harness and ECU without any major modification. For the suspension, the XT6 shares a 5×100 lug pattern with modern platforms and can utilize aftermarket parts meant for them. But even if you keep the 4×140 suspension of a standard XT, you still have options. The rear struts match up in mounting position with NB Miata struts, and a set of ever-versatile EF/EG/EK Civic coilover sleeves will fit over them, allowing for a significant drop in ride height. If that isn’t enough, you can take the rear upper strut mount, flatten the bushing lip and remount it upside down, allowing for another inch of drop in the rear. Front suspension gets a bit more tricky if you’re sticking with the older suspension. While the coil springs match up size-wise with GD WRX and WRX STI springs, the struts themselves aren’t a direct swap and are harder to source. There are some 4×140 to 5×100 adapters being made in small batches on Subaru forums, but if you want to run the modern lug pattern, it’s probably better to swap knuckles and hubs. For 4×140 wheels, you’re going to have to do some digging. These were made in quantity back in the 80s, but today they’re quite hard to find, at least stateside. The French wheel company Gotti does still make a set of 4×140 wheels, but they’re not exactly cheap. Overall, with some ingenuity, the handling and stance of these cars can be helped immensely. So far this sounds like the tale of a car that just barely missed its mark, a good car that isn’t a great car, also known as a forgettable car. 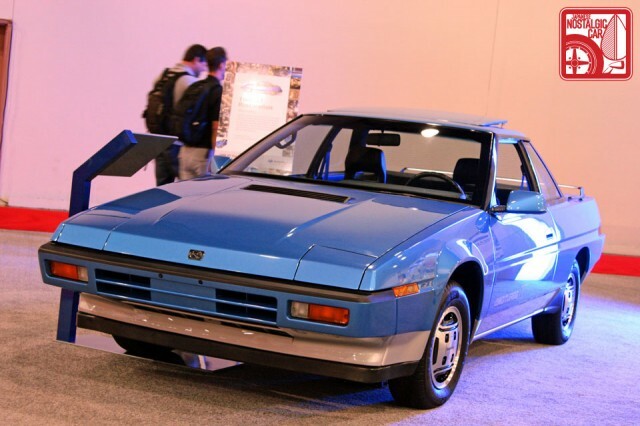 However, the Subaru XT has some legitimately desirable qualities, and we can honestly say that they greatly outnumber the negatives. This was the car where Subaru first said, “No, we are not an austerity measure,” and made their best product possible. They packed every computer they could find into it with the best technology they could muster for power delivery, and wrapped a radical design. The Subaru XT Turbo is the ultimate representation of everything we love about the 80s and somehow nobody knows what it is. It reminds me of Grace Jones, an avant garde style that you never expected to like, outside the societal norms, yet somehow, ticking all the “cool” boxes in its own strange way. Brilliant car, I owned one loved it and wouldn’t mind betting there were a few pictures of the Lancia Gamma Coupe in their design studio when this car was penned, I recognized some of the design straight away. A female kuwaiti singer her name is Rabab used to own one of these Turbo XT back in the days(80’s) and we always envy her when she pass by us in the neighborhood(she used to live two block from us). We were kids that time.Always loved the lines of it. Are any of these things still left? There were never many to begin with. Have not seen one in probably 15+ years. They suffered horribly from rust issues, and I’m guessing that it’s probably easier to find parts for a first gen Celica than an XT. You can find them but probably 85% are in Colorado or oregon. They’re all over the PNW. I daily an SVX and still want an XT. They’re out there, you just have to look in the right places. If your interested, I have three XT’s and I’m getting too old and arthritic to get in and out of them. I’m letting all of my EA parts go, and I’d make package deal to anyone willing to take everything. All three run and drive + an extra engine for the XT6. Am running an E27 in a Subaru Omega rally car (2 door rx turbo) with two turbos (one per bank) and a six speed gearbox (fitted a few years ago as the five speeds weren’t really handling the torque). This car was was originally built up in the mid 90s, but is still a very fast car today. There are some guys i do go kart racing with drive their drifters to the track and one of them has this car. The one thing i don’t like about what he did with the car is that he put a fart can on it. i have two xt turbo, 1986 and 1987, I Love my cars, I live in Uruguay, only this two XT in the entire country. I still got my AX7 turbo AWD. Get people coming up to me with stories. First was a woman. Her dad bought her one when new. She loved it. Another traded his on RX7 after six months.Another used to sell them new and earned a trip to Japan to see XT6 in production. I live in Brasilia, capital Brasil, here in my city have one of this, imported from USA, is the only one in Brasil.